The number of small, local businesses that don’t have websites in this day and age continues to amaze us. Maybe they’re content with the existing business they have and don’t feel the need to invest in an online presence. Or maybe they think that running a Facebook page is plenty. However, taking this approach means that business opportunities are lost every day. A local business website doesn’t need to be too fancy, but it should certainly exist. It’s really not rocket science. If you operate a hair salon in Smalltown, USA, the website should include this information so that the search engines can match your website with Smalltown, USA hair salon searches. It’s important to focus the local keyword targeting to where the business is actually located. Yes, you may want business from surrounding areas, but it’s important to only specifically target where your office is located on your website. Adding a page for every city in a 20-mile radius is a spammy SEO approach that can get you into trouble. Instead, add your full business address and phone number to the website footer, so that it appears on every page. Spending a few hours, tops, claiming all local profile listings and updating them with company and contact information can result in more website traffic and additional business. Search engine local listings will appear at the top of the search results page in a “pack” for local searches. Most people will click through right from here, instead of scrolling down to find the organic listings. The more information your listing includes, the better, including reviews. Google My Business is the top priority but you’ll also want to claim and verify Yahoo! Local, Bing Places for Business, Yelp, and Mapquest listings. As a local business owner, it’s advisable to get out and meet people in the community whenever you can. The same advice works in the online world. By associating your website with other local websites, it’s further establishing where you’re located and where you do business for the search engines. These links will also generate traffic (and hopefully, business) from a local audience. Places to start include local business directories, the chamber of commerce, and local events/organizations/charities that you align with. 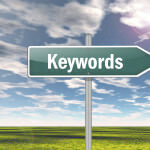 While these local SEO activities don’t take too much time, it still might be a big commitment for a local business owner. 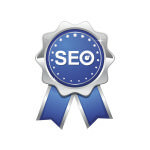 If you can’t do it yourself, consider hiring an SEO firm to help you out.